F.A. Hayek’s The Road to Serfdom, …in chapter twelve, …Hayek highlights the very important connection between the socialist and Nazi intellectuals by profiling a handful of prominent German Marxist supporters… Hayek points out that contrary to what many think, Nazism did not simply appear out of thin air and infect the minds of docile German people. There were academic roots that, while grown in the soil of socialist thought, grew into a philosophy that praised German superiority, ultimate war, and the degradation of the individual. …Beginning his list of influential thinkers prior to WWII, Hayek begins with the dedicated Marxist who later embraced nationalism and dictatorship, Werner Sombart (1863-1941). …He seethed with criticism for the English people, who, in his mind, had lost their warlike instincts. …His other main criticism of English culture was the emphasis placed on the individual. For Sombart, individual happiness was hampering societies from being truly great. …Professor Johann Plenge (1874-1963) was another leading intellectual authority on Marxist thought during this time. He also saw war with England as a necessary struggle between two opposite principles: emphasis on the individual and organization and socialism. …Interestingly enough, many…socialist philosophers eventually abandoned Marxism in favor of National Socialism… while Prussian militarism was seen to be the enemy of socialism, Spengler helped bridge that gap. Both schools of thought require an abandonment of the individual identity. …This hatred and fear of the individual is the worldview espoused by these thinkers and it continues on with those who claim to be socialists today. Unless the concept of individualism is completely eradicated, the glorified state cannot come into existence. The bulk of the book makes the argument that central planning and interventionism inevitably lead to authoritarianism… Towards the end of the book, he deals with the undeniable authoritarians of his time and casts the national-socialist movement as one built on disgust with liberalism. …Sombart, like many Germans in the early 20th century, was compelled by a case for war between the British and Germany on the grounds that the British…pursuit of individual happiness, which he saw as a disease contracted from a society built on commercialism. Laissez-faire was an unnatural anarchic order giving rise to parasites and dishonest merchants… another Marxist, Sociologist Johann Plenge…moved into the shamelessly totalitarian realm that attracted so many Marxist leaders… Hayek gives…a warning to England; that the “conservative socialism” en vogue at the time was a German export, which for reasons he details throughout the book, will inevitably become totalitarian. …This was not a sensationalist attempt to prove his point. Hayek was rather calmly pointing out an example of the type of government one could expect in a society that has discarded liberalism for planning. I have a special page to highlight honest left wingers, and I’ve acknowledged several who have confessed that gun control is misguided. Jeffrey Goldberg admits gun ownership reduces crime. Justin Cronin explains how he became a left-wing supporter of gun rights. Jamelle Bouie pours cold water on Obama’s gun control agenda. Leah Libresco confesses that gun control simply doesn’t work. A columnist for Vox also is honest. Dylan Matthews starts by acknowledging that the standard agenda of the anti-gun movement is pointless. Congress’s decision not to pass background checks is not what’s keeping the US from European gun violence levels. The expiration of the assault weapons ban is not behind the gap. But don’t get your hopes up that Matthews is on the right side. His problem with the incremental ideas is that they don’t go far enough. What’s behind the gap, plenty of research indicates, is that Americans have more guns. …Realistically, a gun control plan that has any hope of getting us down to European levels of violence is going to mean taking a huge number of guns away from a huge number of gun owners. …And here’s the truth: Even the most ardent gun control advocates aren’t pushing measures that could close the gap. Not even close. …Obama’s plan to tackle gun violence focused on universal background checks for gun sales, banning assault weapons again, and increasing criminal penalties for illicit gun traffickers. That’s nowhere near as dramatic as taking…America’s guns off the street. I obviously disagree, but I give him credit for honesty. Unlike other leftists who privately share the same ideology, Matthews is open and honest about his desire to eviscerate civil liberties. Even if he understands it’s not going to happen any time soon. …large-scale confiscation look like easily the most promising approach… Large-scale confiscation is not going to happen. That’s no reason to stop advocating it. So I applaud Matthews for not hiding his true desire. Just like I applaud leftists who openly admit that they want 90 percent tax rates or who freely confess that they think all our income belongs to government. I think they’re all profoundly misguided, but that’s a separate issue. Now let’s briefly contemplate what would be necessary for Mr. Matthews to get his wish of total gun confiscation. Reason produced a mocking “five-step” video on the near-impossible actions that would be needed to achieve that goal. But the first three steps in that video were about how difficult it is to amend the Constitution and I don’t think that’s what the left has in mind. If they ever get to the point of trying to ban guns, presumably it will be after a leftist President has put a sufficient number of doctrinaire Ruth Bader Ginsburg clones on he Supreme Court. In which case, they will simply pretend the 2nd Amendment doesn’t say what it says. And if that happens, then presumably it will be easy to envision the fourth step, which is legislation prohibiting private ownership of firearms. After all, does anybody doubt that this is what Chuck Schumer and Nancy Pelosi actually would prefer? But I fully agree that the fifth and final step – actually confiscating guns – would be extremely difficult. There was a poll on this issue back in 2013 and it’s worth noting that respondents, by a 3-1 margin, said they would defy such a law. I oscillate between being proud about the result and being disappointed that the margin isn’t 10-1 in favor of defiance. Regardless, the takeaway from this result is that there would be pervasive and ubiquitous civil disobedience. Moreover, it goes without saying that the people who obeyed such a fascist law would not be the criminals. So the net effect of such legislation would be an unfortunate shift in the ratio of good gun owners and bad gun owners. P.S. Which is sort of the point of this satirical comparison between Chicago and Houston. I wrote last week about evil of totalitarian ideologies such as communism and fascism and pointed out that both antifa and Nazis should be treated with complete disdain and ostracism. And that led me to find common ground with my left-of-center friends, even though I don’t like many of their policies. 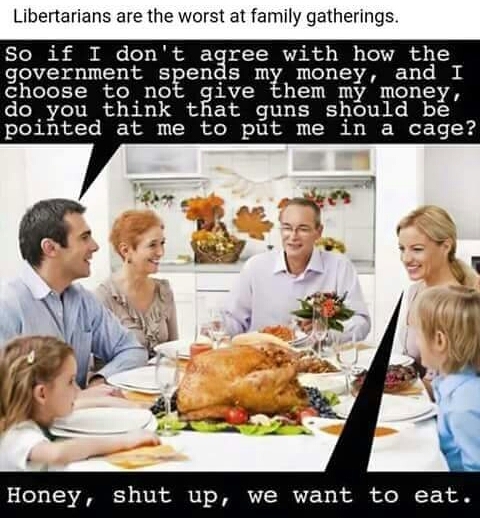 I don’t like redistribution…programs are financed with taxes and that the internal revenue code is enforced by coercion…if you catch me in a cranky mood, I’ll be like the stereotypical libertarian at Thanksgiving dinner and wax poetic about what’s wrong with the system. That being said, I much prefer the coercion found in western democracies compared to the totalitarian versions of coercion found in many other parts of the world. At least we have the rule of law, which limits (however imperfectly) capricious abuse by government officials. …our Constitution still protects many personal liberties, things that can’t be taken for granted in some places. Moreover, there is only a trivially small risk of getting abused by the state in western nations because you have unpopular views. And there’s little danger of persecution by government (at least nowadays) based on factors such as race and religion. This is what makes liberal democracy a good form of government (with “liberal” in this case being a reference to classical liberalism rather than the modern version). Unfortunately, there are some people in America that don’t believe in these principles. Now let’s look at an aspect of this issue from a left-of-center perspective. Writing for the New Republic, John Judis analyzes the different types of socialism. He starts with some personal history of his time as a socialist activist. In the early 1970s, I was a founding member of the New American Movement, a socialist group… Five years later, I was finished with…socialist organizing. …nobody seemed to know how socialism—which meant, to me, democratic ownership and control of the “means of production”—would actually work… Would it mean total nationalization of the economy? …wouldn’t that put too much political power in the state? The realization that a nationalized economy might also be profoundly inefficient, and disastrously slow to keep up with global markets, only surfaced later with the Soviet Union’s collapse. But even then, by the mid-1970s, I was wondering what being a socialist really meant in the United States. He then notes that socialism has made a comeback, at least if some opinion polls (but not others) and the campaign of Bernie Sanders are any indication. …much to my surprise, socialism is making a comeback. The key event has been the campaign of self-identified democratic socialist Bernie Sanders, who almost won the Democratic nomination and is now reputedly the most popular politician in America. 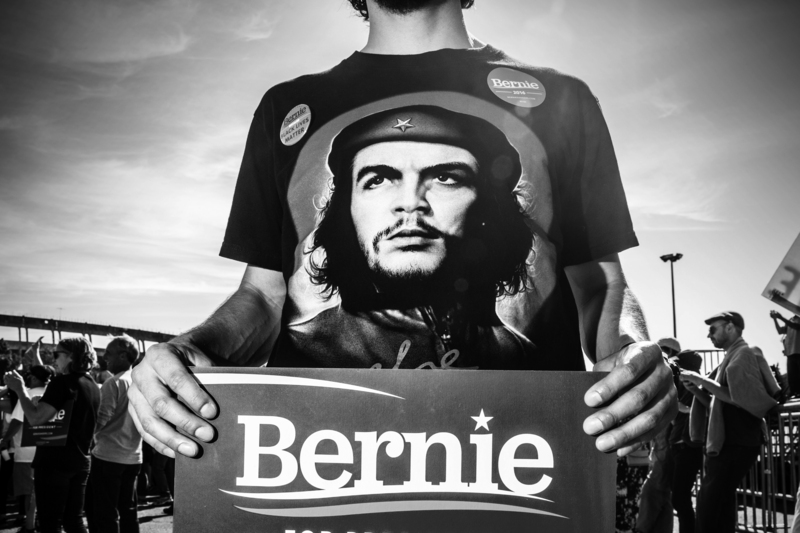 Several opinion polls have also found that young people now think favorably of socialism and ill of capitalism… For the first time since the ‘60s, socialism looks like a politics with a future in the United States. But Judis notes that it’s unclear what socialism means. The old nostrums about ownership and control of the means of production simply don’t resonate in 2017. 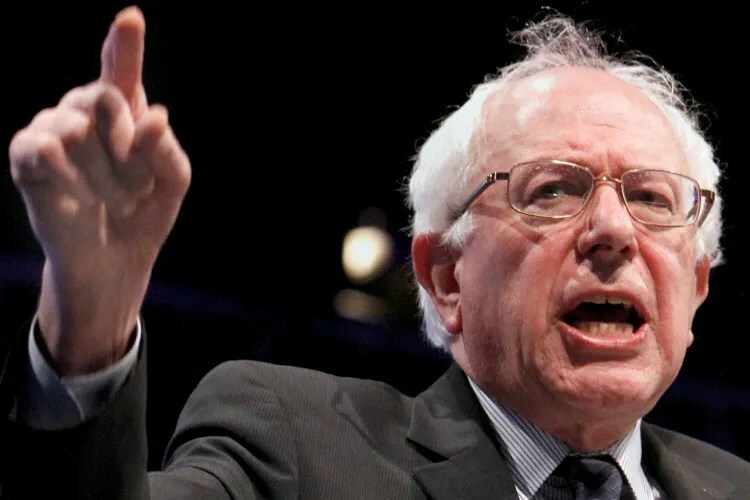 …In the 2016 campaign, however, Sanders began to define a socialism that could grow… I think there is an important place for the kind of democratic socialism that Sanders espoused. He says there are many flavors of socialism, but ultimately puts them in two camps. And “liberal socialism” basically means capitalism combined with European-style redistributionism. 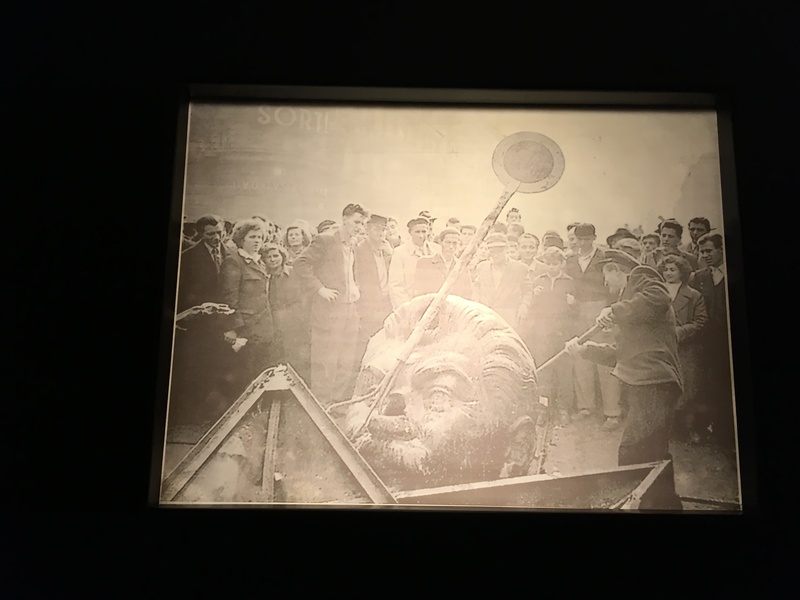 In Western Europe, …socialists were forced to define their objectives more clearly. And what has emerged is a liberal conception of socialism. …social democracy has probably reached its acme in the Nordic countries, where the left has ruled governments for most of last half-century. …That’s not Marx’s vision of socialism, or even Debs’s. In Europe, workers have significant say in what companies do. They don’t control or own them. Private property endures. …private capital is given leave to gain profits through higher productivity, even if that results in layoffs and bankruptcies. But the government is able to extract a large share of the economic surplus that these firms create in order to fund a full-blown welfare state. Which means “liberal socialism” is, well, liberalism (the modern version, i.e., statism, though Thomas Sowell has a more unflattering term to describe it). By the standards of Marxist socialism, this kind of social democracy appears to be nothing more than an attenuated form of capitalism. 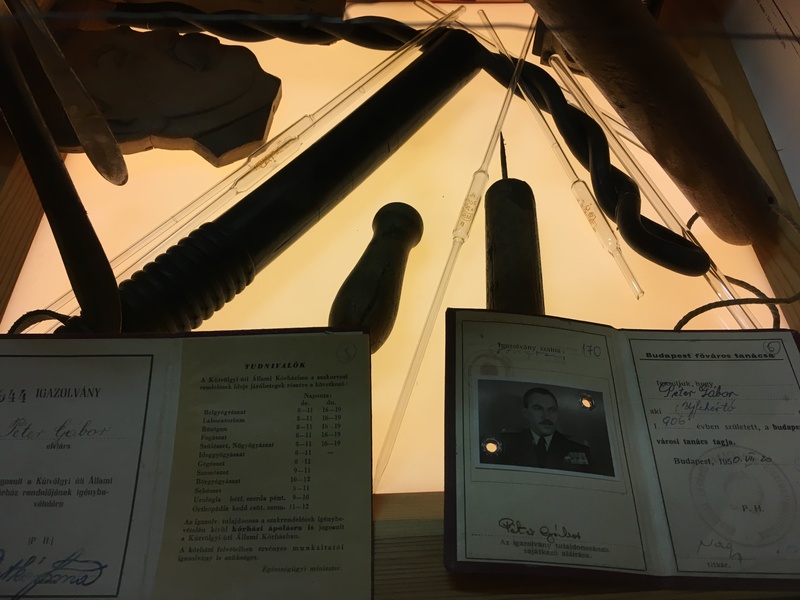 …But…As the Soviet experiment with blanket nationalization showed, it can’t adjust to the rapid changes in industry created by the introduction of automation and information technology. …the market is a better indicator of prices than government planning. …the older Marxist model of socialism may not even be compatible with popular democracy. …What’s the difference between this kind of socialist politics and garden-variety liberalism? Not much. …American socialists need to do what the Europeans did after World War II and bid goodbye to the Marxist vision of democratic control and ownership of the means of production. They need to recognize that what is necessary now—and also conceivable—is not to abolish capitalism, but to create socialism within it. 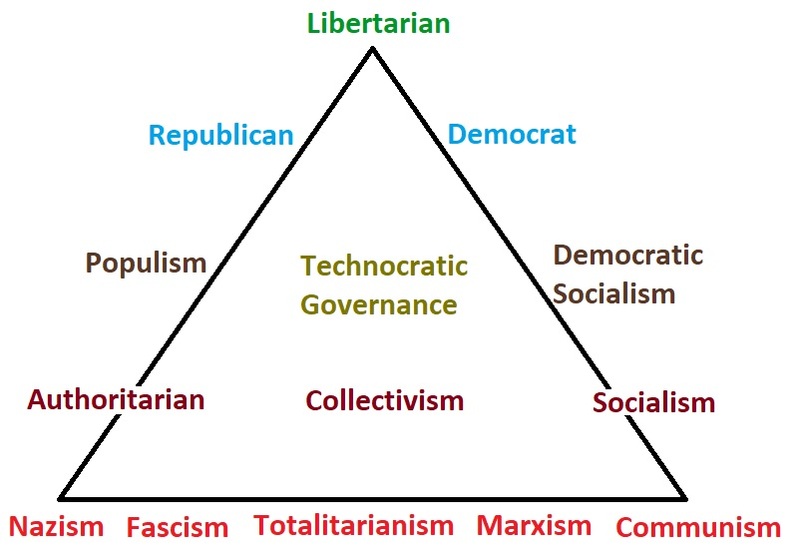 For what it’s worth, the leftists I know are believers in “liberal democracy,” which is good, and they also are believers in “liberal socialism,” which is good, at least when compared to “Marxist socialism.” Sort of like comparing Barack Obama and Hillary Clinton to Nicolás Maduro and Kim Jong Un. I disagree with Obama and Clinton, of course, and I would argue that what they want is bad compared to small-government capitalism. But I utterly despise the totalitarian regimes in Venezuela and North Korea. Let’s conclude by highlighting a key difference between “liberal socialists” and supporters of small government. My leftist friends are content to allow capitalism so long as they can impose high taxes on “economic surplus” to finance lots of redistribution. They think that such policies don’t cause significant economic harm. I try to explain to them that punishing success and subsidizing dependency is not a good recipe for long-run prosperity. And I also tell them that demographic changes make their policies very unsustainable. But at least these decent people on the left are not totalitarians. 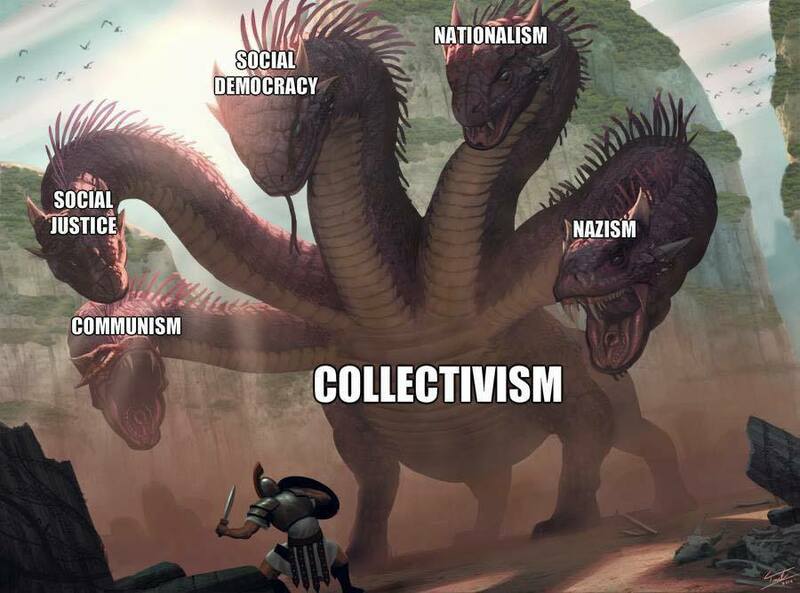 So when I look at this amusing image from Reddit‘s libertarian page, I agree that everyone who supports big government is a collectivist of sorts. 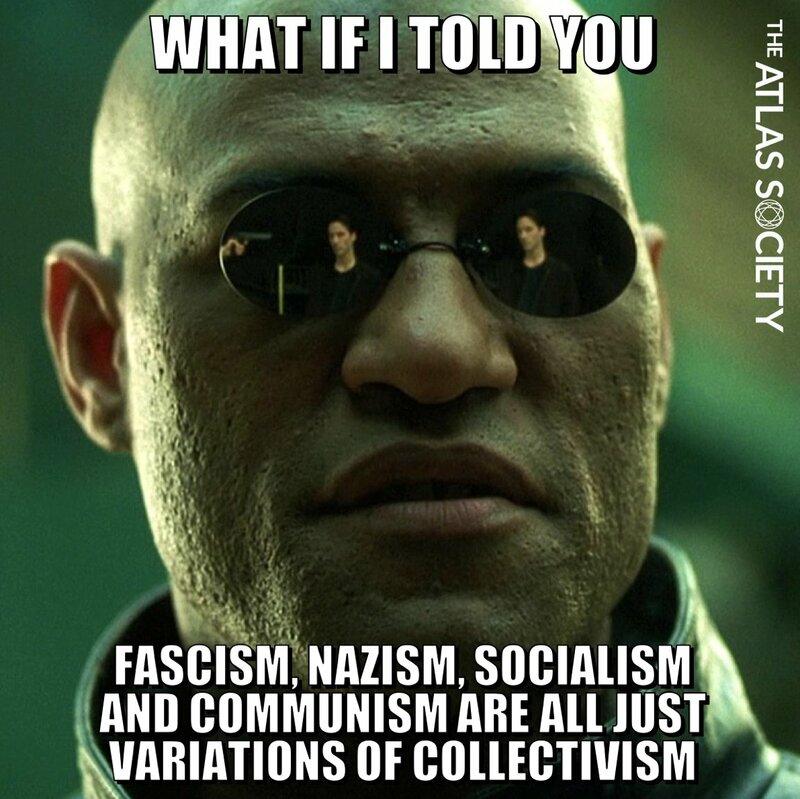 But “Social Democracy” (assuming that’s akin to “liberal socialism”) is not really the same creature as the other forms of collectivism (assuming “social justice” is akin to antifa). Which is why this image is more accurate. The bottom line is that Nordic-style big government is misguided, but state-über-alles totalitarianism is irredeemably horrible. At the risk of making myself unpopular with some of my fellow libertarians, not all forms of government coercion are created equal. I don’t like redistribution in the United States. I recognize that such programs are financed with taxes and that the internal revenue code is enforced by coercion (if you don’t believe me, see what happens when you choose not to comply with our supposedly voluntary system). And if you catch me in a cranky mood, I’ll be like the stereotypical libertarian at Thanksgiving dinner and wax poetic about what’s wrong with the system. That being said, I much prefer the coercion found in western democracies compared to the totalitarian versions of coercion found in many other parts of the world. At least we have the rule of law, which limits (however imperfectly) capricious abuse by government officials. That’s not the case in many countries. Our courts also are generally independent and our Constitution still protects many personal liberties, things that can’t be taken for granted in some places. Moreover, there is only a trivially small risk of getting abused by the state in western nations because you have unpopular views. And there’s little danger of persecution by government (at least nowadays) based on factors such as race and religion. This is what makes liberal democracy a good form of government (with “liberal” in this case being a reference to classical liberalism rather than the modern version). Unfortunately, there are some people in America that don’t believe in these principles. They call themselves all sorts of names, from white nationalist to antifa, but they share the common bond of totalitarianism. J.D. Tuccille has an article for Reason that elaborates on this link. Take a side? You bet. …advocates of a free, open, and liberal society are a side—the correct side—and the left-wing and right-wing thugs battling in the streets are nothing more than rival siblings from a dysfunctional illiberal family. Losers who march with Nazi flags unquestionably deserve scorn. They represent a totalitarian ideology that subjugates individual rights to state power. And Tuccille is rightly critical of Trump for giving even a shred of aid and comfort to such people. But that doesn’t mean the counter-protestors (or, to be more accurate, a subsection of them) are praiseworthy. Indeed, some of them are similarly violent and evil. Tuccille lists some of the totalitarian efforts by folks on the hard left. In June, James Hodgkinson opened fire on Republican members of Congress gathered for a baseball practice. 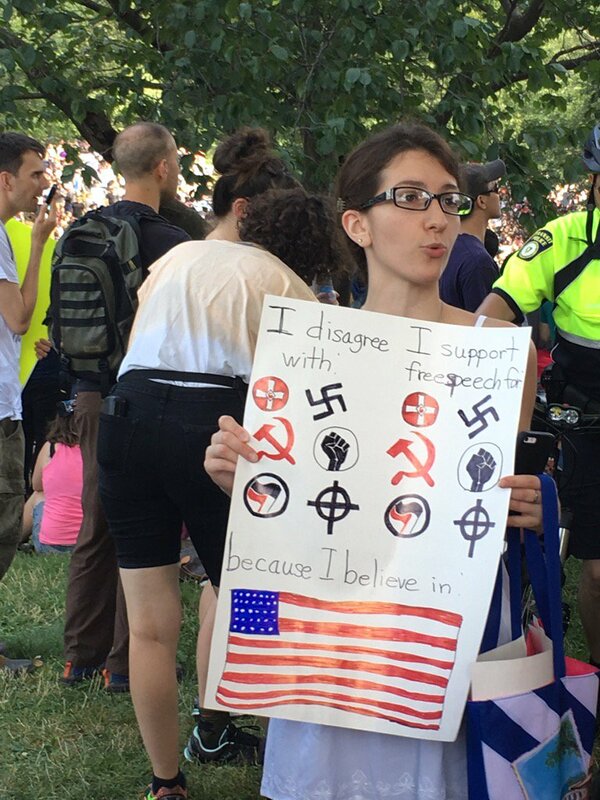 …the supporter of Occupy Wall Street and former Bernie Sanders volunteer sent six people, including Rep. Steve Scalise (R-LA), to the hospital… Before that, left-wing protesters violently shut down a Middlebury College speech by Charles Murray, injuring Professor Alison Stanger in the process, rioted over a speech by professional provocateur Milo Yiannopoulos, and forced the cancellation of a Republican parade in Portland, Oregon, with promises that “the police cannot stop us from shutting down roads.” They boast of their contempt for free speech. He closes with a rejection of the “whataboutism” argument, which is being used by some to suppress criticism of the violent left. …for those of us already calling out the violent bigots flaunting Nazi imagery, it’s not whataboutism to point out that an alleged alternative isn’t actually an alternative at all—it’s just another version of the same thing. …There’s no reason to favor one illiberal force over another when our country has a long history based on much different, and much better, political principles. …Despite our many differences over specific policies, most Americans have traditionally supported the side of liberty, tolerance, free speech, and peaceful political change, within broad parameters. That side is in opposition to the violent, authoritarian thugs of the right and of the left. Here’s an Imgur image from Reddit’s libertarian page that sums up my thinking. In the interests of accuracy, I am partly sympathetic to the folks involved with Black Lives Matter. I get very upset when I read about low-income minorities suffering because politicians at the local level use cops to generate revenue rather than to protect against bad guys. And maybe some of the other groups happen to be on the right side of some random issues (for all I know, maybe Nazis and commies oppose Trump’s foolish choice to expand U.S. intervention in Afghanistan). 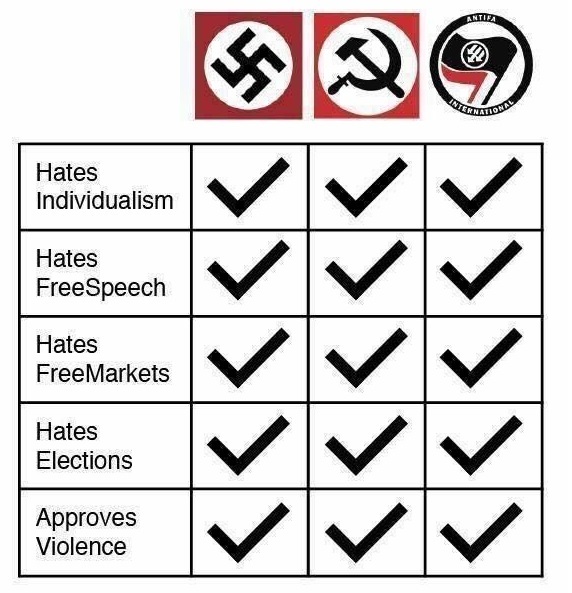 But as a general rule, what animates the groups in the above photo is that they want to impose – even by violence – some form of totalitarian government. Yes, they may hate each other, but only in the sense that two street gangs may be vicious rivals because they each want control over some turf. Here’s a video that examines the preposterous (and presumably politically motivated) assertion that there’s some sort of common ground between Nazis are liberty-oriented groups such as the Tea Party. Let’s look at an example at the common link between socialism and fascism. The Library of Economics and Liberty has a very insightful article on Mussolini’s hostility to capitalism. Want more proof? Well, let’s look at what Mussolini actually wrote. To be fair, it is possible to believe in lots of statism without being a totalitarian. For example, there are true-believing socialists in western nations who believe in confiscatory taxation, nationalization of industry, and all sorts of other wildly misguided policies. But, to their credit, they accept election results and don’t believe in killing, or even assaulting, their political opponents. The bottom line is that well-meaning people from the right, left, and center should be united in their defense of liberal democracy. On a practical level, there are a couple of implications. It would be good if people on the right and left argued within the bounds of decency. Yes, I’ll call my opponents big-government statists and they’ll call me a heartless capitalist. 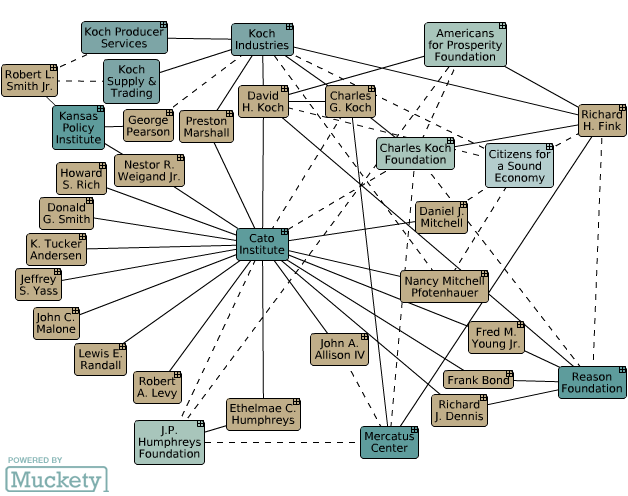 I’ll say they’re trying to create dependency for political advantage and they’ll say I’m a tool of the Koch brothers. That’s normal fun and games. But we should reserve our really negative rhetoric for the thugs who genuinely favor totalitarianism. And the two big political parties should be especially vigilant about disowning and criticizing the groups that are perceived as being indirectly on their side. As such, Republicans should condemn Nazis and like-minded groups. And Democrats should condemn antifa and like-minded groups. As for the rest of us, we should try to be like Daryl Davis and Matthew Stevenson. P.S. Since I believe in freedom and the rule of law, I don’t think totalitarian-minded groups should be randomly persecuted. If some nutty leftists want to set up a commune based on “from each according to ability, to each according to needs,” that’s fine with me so long as they aren’t trying to oppress others. Similarly, if some dumb rednecks decide to set up an Aryan compound in some isolated forest, that’s none of my business so long as they don’t try to infringe upon the rights of other. We can and should criticize such people, of course, but don’t arrest them for having warped hearts. Having become interested in public policy because of Ronald Reagan’s message of limited government and individual liberty, I’m understandably depressed by the 2016 election. But we can at least learn something from the process. Robert Kagan of the Brookings Institution savages Donald Trump in a column for the Washington Post. Here’s a particularly brutal excerpt. …what Trump offers his followers are not economic remedies — his proposals change daily. What he offers is an attitude, an aura of crude strength and machismo, a boasting disrespect for the niceties of the democratic culture that he claims, and his followers believe, has produced national weakness and incompetence. His incoherent and contradictory utterances have one thing in common: They provoke and play on feelings of resentment and disdain, intermingled with bits of fear, hatred and anger. His public discourse consists of attacking or ridiculing a wide range of “others” — Muslims, Hispanics, women, Chinese, Mexicans, Europeans, Arabs, immigrants, refugees — whom he depicts either as threats or as objects of derision. Since I don’t know what actually motivates Trump or his voters, I have no idea whether the above passage is fair, but it is true that Trump’s policy agenda oftentimes doesn’t make sense. But here’s the part of the column that caught my attention. …what he has tapped into is what the founders most feared when they established the democratic republic: the popular passions unleashed, the “mobocracy.” Conservatives have been warning for decades about government suffocating liberty. But here is the other threat to liberty that Alexis de Tocqueville and the ancient philosophers warned about: that the people in a democracy, excited, angry and unconstrained, might run roughshod over even the institutions created to preserve their freedoms. I’m tempted to send Mr. Kagan a card that says “Welcome to the Club.” Libertarians and small-government conservatives for decades have been warning against the dangers of untrammeled majoritarianism. We revere the Constitution because we believe that our freedoms and liberties should not be decided by 51 percent of the population. We cherish the fact that our Founding Fathers put limits on the power of the federal government. But I don’t think Kagan deserves a card because his opposition to mobocracy is very selective. Has he ever criticized the Supreme Court for acquiescing to the New Deal and abandoning its obligation to limit Washington to the enumerated powers listed in the Constitution? Did he condemn Chief Justice John Roberts and the Supreme Court for deciding that the “power to tax” somehow gave the federal government the authority to force citizens to buy government-approved health insurance plans? I don’t recall seeing Kagan fret about these majoritarian steps that eroded constitutional liberties, so it’s hard to take seriously his complaints now. I’m also unimpressed by his concerns about potential abuse of power by a Trump Administration. Trump will…have ridden to power despite the party, catapulted into the White House by a mass following devoted only to him. …In addition to all that comes from being the leader of a mass following, he would also have the immense powers of the American presidency at his command: the Justice Department, the FBI, the intelligence services, the military. Who would dare to oppose him then? …is a man like Trump, with infinitely greater power in his hands, likely to become more humble, more judicious, more generous, less vengeful than he is today, than he has been his whole life? Does vast power un-corrupt? He raises some very legitimate concerns. I don’t trust Trump with lots of power. That being said, the hypocrisy is staggering. Did he write any columns about Obama’s sordid misuse of the IRS to target political opponents? Has he complained about Operation Chokepoint? Fast and Furious? NSA spying? Efforts to undermine the 1st Amendment and restrict political speech? Why is abuse of power okay for Obama but not for Trump? Notwithstanding Kagan’s glaring hypocrisy, his conclusion may be correct. This is how fascism comes to America, not with jackboots and salutes…but with a television huckster, a phony billionaire, a textbook egomaniac “tapping into” popular resentments and insecurities. Except it needs to be expanded. Because fascism already has a foothold in America. And it might expand not just because of a “television huckster,” but also because of a corrupt former presidential spouse or an envy-riddled Vermont crank, both of whom tap into resentments and insecurities. Charles Cooke of National Review wonders whether Trump will lead leftists to change their minds about government power. He starts by highlighting conservative opposition to an all-powerful presidency. …progressives tend not to buy the argument that a government that can give you everything you want is also a government that can take it all away. For the past four or five years, conservatives have offered precisely this argument, our central contention being that it is a bad idea to invest too much power in one place because one never knows who might enjoy that power next. And, for the past four or five years, these warnings have fallen on deaf, derisive, overconfident ears. …we have argued that Congress ought to reclaim much of the legal authority that it has willingly ceded to the executive, lest that executive become unresponsive or worse; that, once abandoned, constitutional limits are difficult to resuscitate; that federalism leads not just to better government but to a diminished likelihood that bad actors will be able to inflict widespread damage. So are statists about to get religion on the issue of big government, albeit belatedly? Time and time again, Trump has been compared to Hitler, to Mussolini, to George Wallace, and to Bull Connor. Time and time again, self-described “liberals” have recoiled at the man’s praise for internment, at his disrespect for minorities and dissenters, and at his enthusiasm for torture and for war crimes. …If one were to take literally the chatter that one hears on MSNBC and the fear that one smells in the pages of the New York Times and of the Washington Post, one would have no choice but to conclude that the progressives have joined the conservatives in worrying aloud about the wholesale abuse of power. …Having watched the rise of Trumpism — and, now, having seen the beginning of violence in its name — who out there is having second thoughts as to the wisdom of imbuing our central state with massive power? …I would genuinely love to know how many “liberals” have begun to suspect that there are some pretty meaningful downsides to the consolidation of state authority. …When Peter Beinart warns that Donald Trump is a threat to “American liberal democracy” — specifically to “the idea that there are certain rights so fundamental that even democratic majorities cannot undo them” — he is channeling the conservative case for the Founders’ settlement, and taking square aim at the Jacobin mentality that would, if permitted, remove the remaining shackles that surround and enclose the state. Does he know this? There is nothing genuinely liberal about most modern leftists. They will act hysterical about the prospect of Trump holding the reins of power, but I predict they will fall silent if Hillary is in the White House.